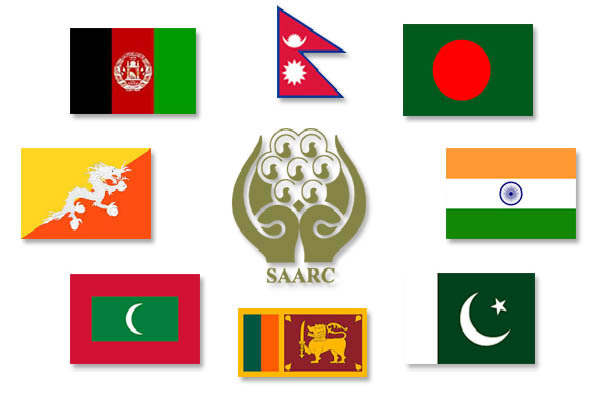 ISLAMABAD, Sep 8 (APP): SAARC finance ministers has called for strengthening the regional trade through expeditious implementation of the recent South Asian Free Trade Agreement (SAFTA). South Asia who recently met in Islamabad pushed for the fast track formation of the South Asian Economic Union (SAEU) to ensure larger investment inflows, higher trade volumes and energy generation. conference of finance ministers of the South Asian Association for Regional Cooperation (SAARC) including Afghanistan, Bangladesh, Bhutan, India, Maldives, Nepal, Pakistan and Sri Lanka. the decision to form the SAEU should move speedily at the 19th SAARC summit which is scheduled to be hosted by PM Sharif on November 9 and 10 this year at Islamabad. regional trade through expeditious implementation of the South Asian Free Trade Agreement (SAFTA) in order to achieve deeper integration. enhanced intra regional trade under SAFTA. Minister Nawaz Sharif, and others heads of state and government endorsed the demand for formation of the SAEU.